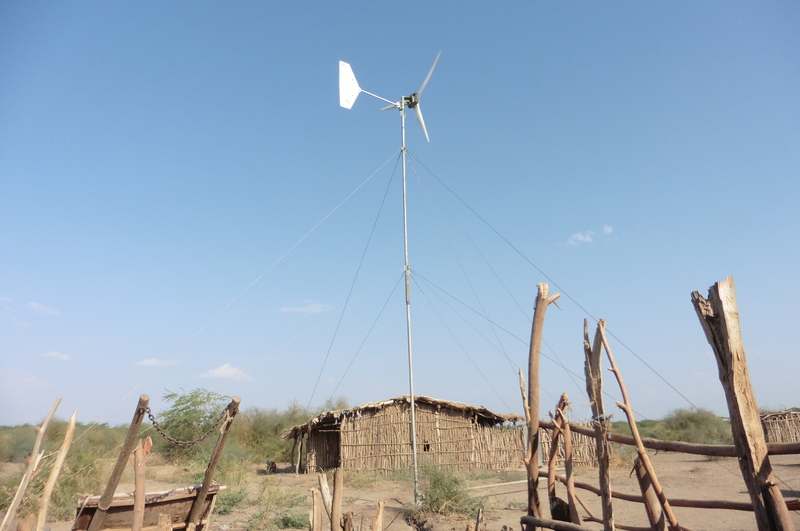 During October 2015, the Rural Electrification Research Group of NTUA along with V3 power (UK), School of the Earth ‘Nea Guinea‘ (Greece) and I-Love-Windpower Tanzania joined Wind Empowerment and Mercy Corps Ethiopia, in order to implement a capacity building and knowledge exchange project with the Samara University, as a part of a rural electrification project in Semara, in Ethiopia’s Afar region. 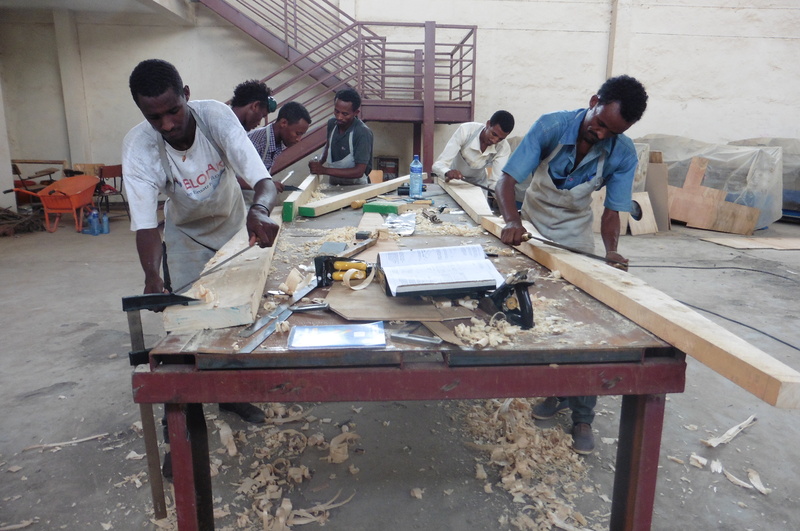 The small wind turbine that was used in the near by electrification project was manufactured locally at the Semara University during a 9 day course with 24 participants. 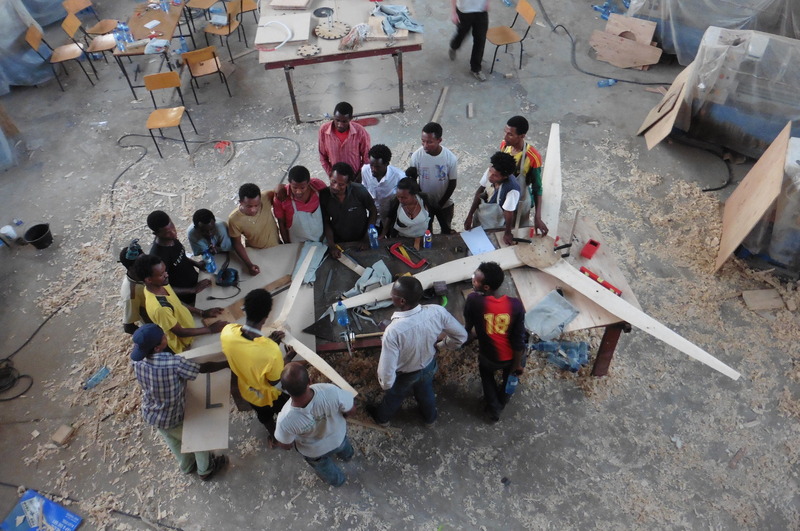 Students and staff of the university participated in the course which included theoretical lectures on small wind turbine technology and applications and practical workshops on small wind turbine construction. The practical sessions were organised in three working groups. The woodworking group was carving the three blades of the rotor out of wood, the metalworking group was fabricating the steel frame of the generator and the furling tail, and the generator manufacturing group which winded the coils of the stator and fabricated the magnet rotor disks. 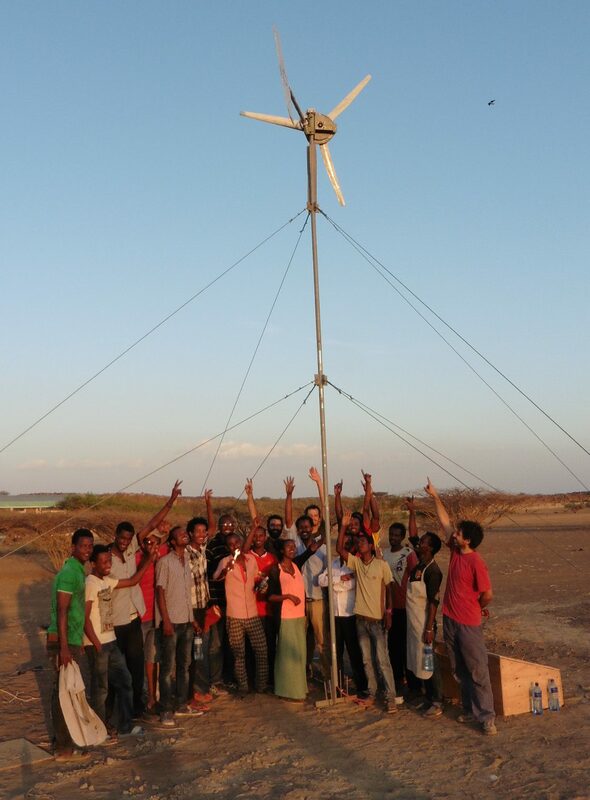 In addition, a 1.8m diameter small wind turbine was also constructed during the ten day course with the students and was installed in the university campus along with an electrical system for mobile phone charging. The system consists of a 300W inverter and a 24V 150Ah battery bank and will be used for education purposes in the university, as an additional part of their laboratory infrastructure.